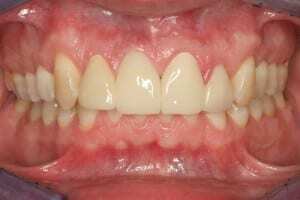 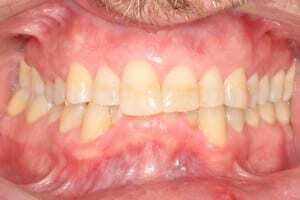 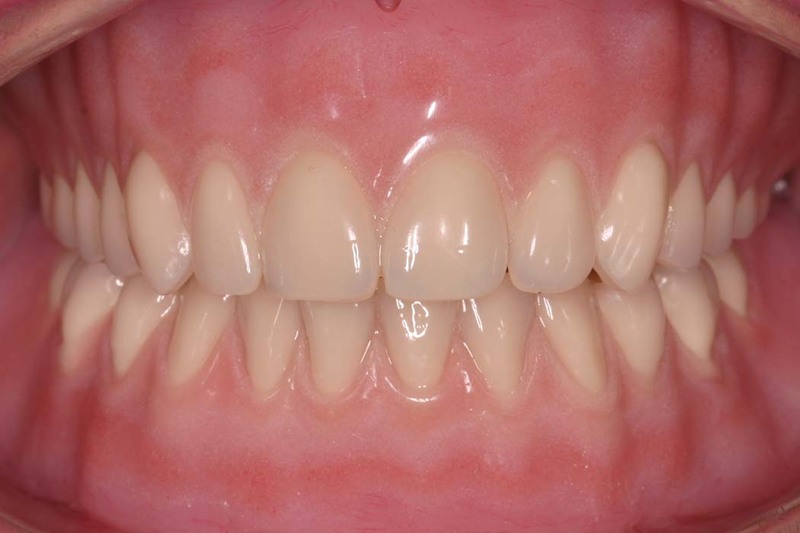 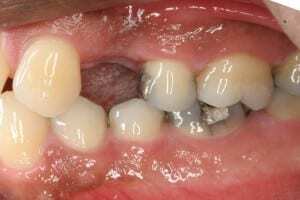 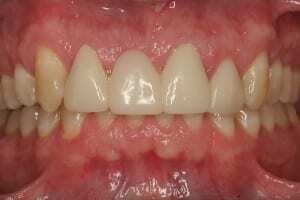 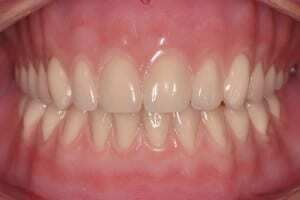 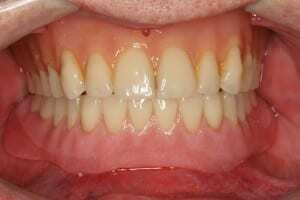 Before: Patient had severe wear and discoloration of teeth, along with a perceived absence of bottom front teeth. 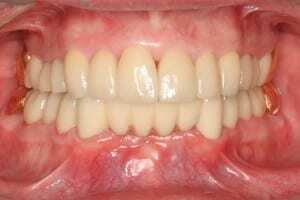 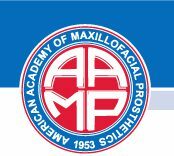 After: Full mouth rehabilitation containing crowns and bridges to restore teeth to proper form, function, and esthetics. 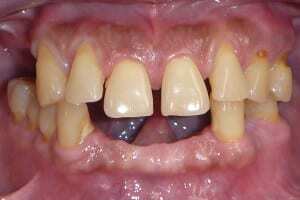 Before: Patient with severe wear and multiple missing teeth. 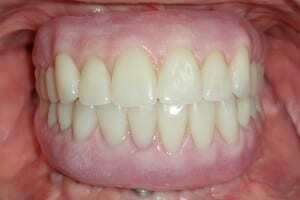 After: Crowns and a bottom partial denture to restore teeth to proper form, function, and esthetics. 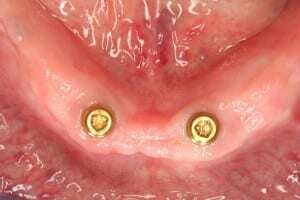 After: Dentures that are screwed in utilizing implants in both the top and bottom jaws. 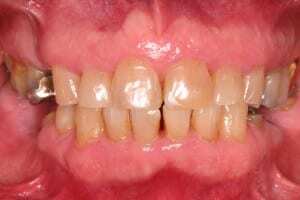 Before: Patient with several missing teeth, a severe form of gum disease along with a severe overbite. After: Dentures that are screwed in utilizing implants in both the top and bottom jaws along with an advancement of the lower jaw. 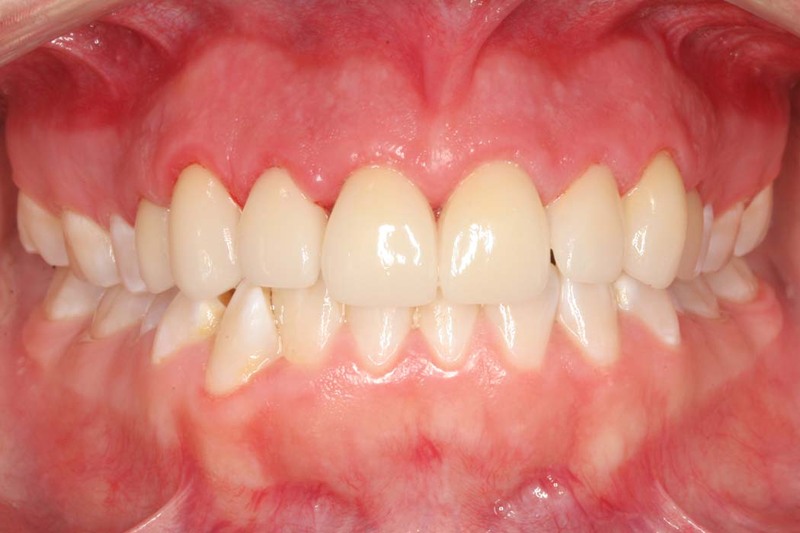 Before: Patient had a loose lower partial denture because of a fractured eyetooth. 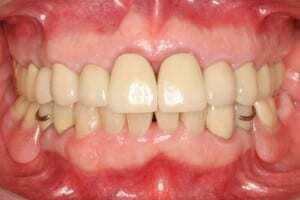 After: Fractured lower teeth were removed and replaced with dental implants to stabilize a new lower denture. 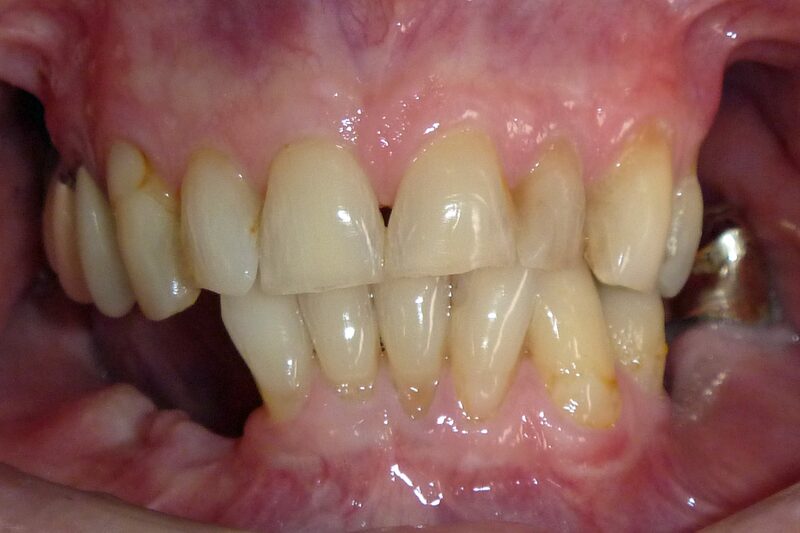 After: New lower denture retained with dental implants. 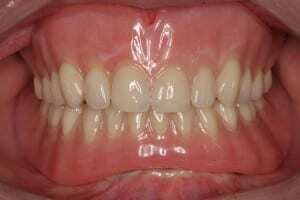 Before: Patient who has severe bone loss of the lower jaw. 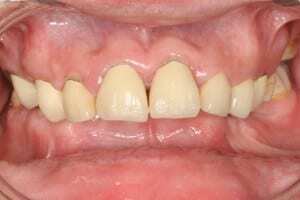 After: Conventional set of top and bottom dentures. 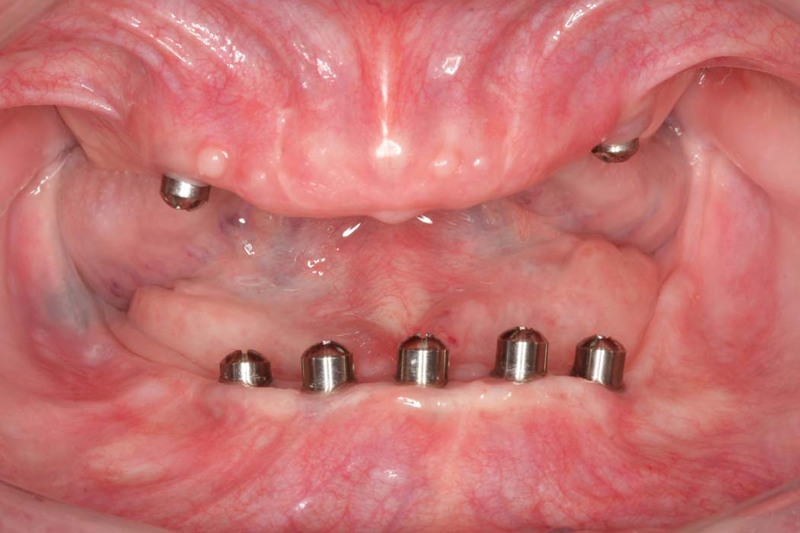 Before: Patient with dental implants in both the top and bottom jaw. 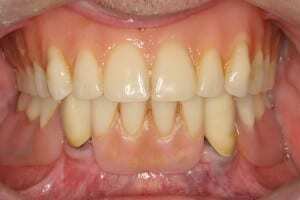 After: Dentures that are retained using the implants. 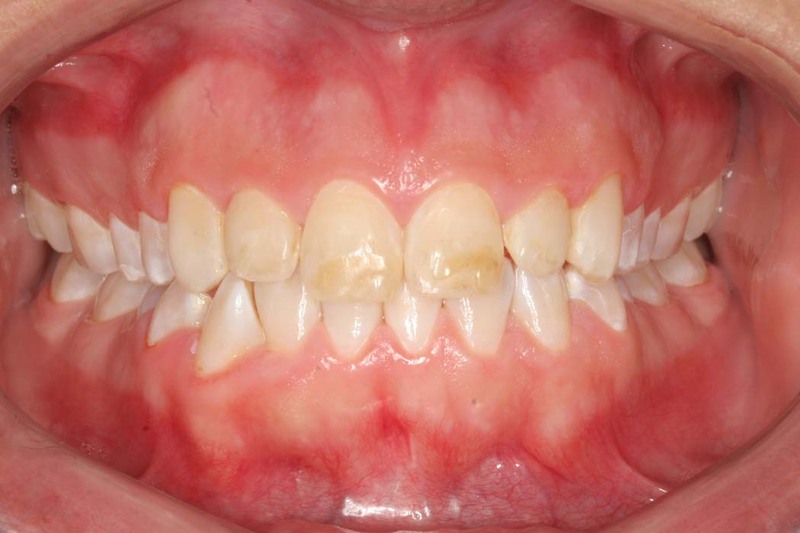 Before: Patient with multiple missing teeth and severe gum disease. 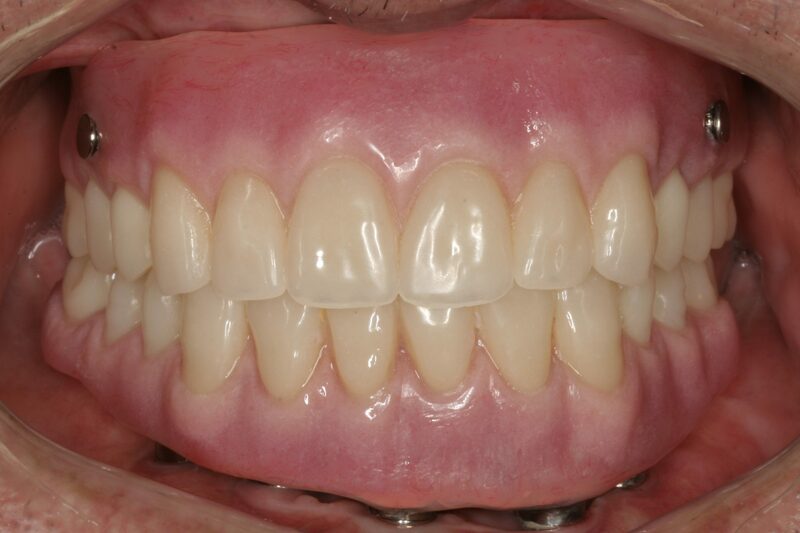 After: Upper Atlantis ISUS 2 in 1 denture (specialty denture) and a lower denture that is screwed into implants. Before: Patient with severe discoloration of upper front teeth. 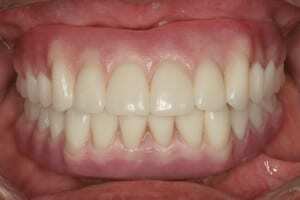 After: Upper front teeth with porcelain veneers and gum lengthening. 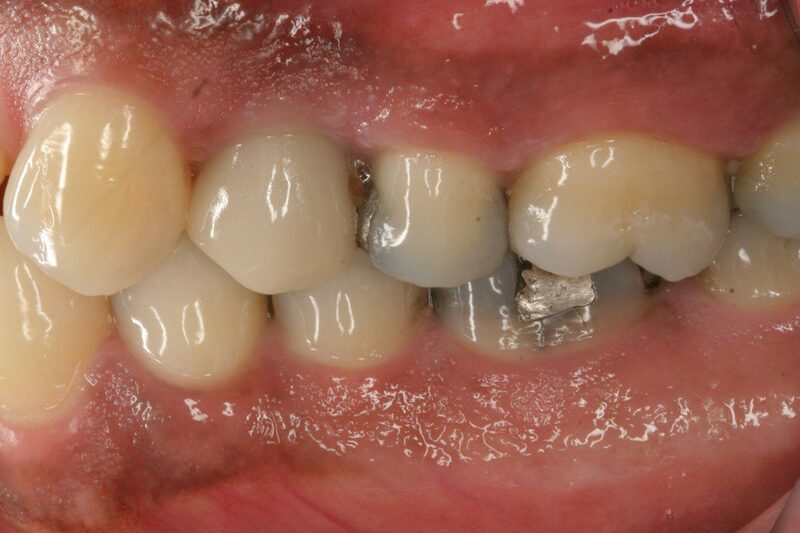 Before: A Patient missing crown of the upper front tooth. After: Upper front tooth replaced with a dental implant and crown. 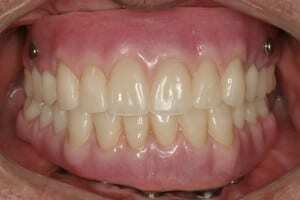 Before: Patient with an upper front bridge. 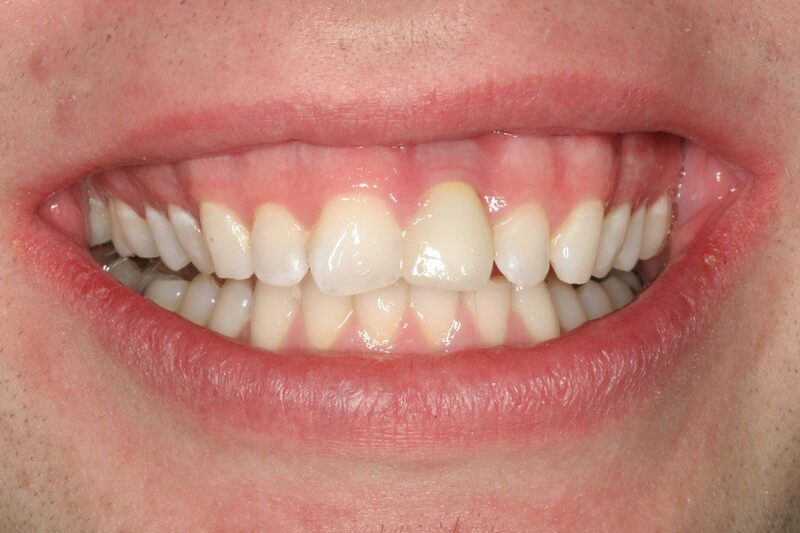 After: Upper front bridge replaced with a dental implant and new crowns. 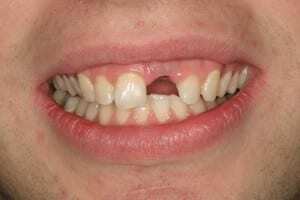 Before: Patient missing upper left back tooth. After: Upper left back tooth replaced with dental implant and crown.